in hand with Rickard Diffusers. Creating comfortable indoor spaces while maintaining a healthy and productive working environment. 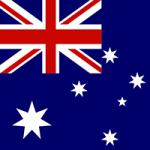 New government policies and the dramatic increase in energy costs have created greater demand for products and systems that utilize energy efficient technologies. There is a growing need for products that help create comfortable indoor spaces while maintaining a healthy and productive working environment. These new demands are now being driven by architects, engineers and developers to create buildings that offer both the optimal working conditions while saving energy consumption and reducing greenhouse gas emissions. The square electronic diffusers are available in three distinctive styles: square to square, square to circular and square to swirl. The square to square and square to circular diffusers produce low noise levels and are designed for general building zones where uniform radial discharge is the preferred supply air distribution pattern. 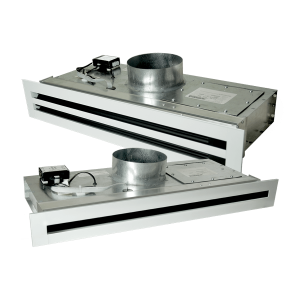 The Rickard thermo-disc ceiling diffuser is a mechanically controlled, thermally powered VAV diffuser. It requires no external temperature sensors such as a wall thermostat as each diffuser contains its own in-built temperature sensing and volume control mechanism. This amazing diffuser has an advantage that it requires no external wiring or power supply. 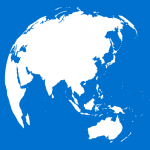 Providing an effective means of distributing conditioned air into the perimeter zones of a building where the temperature control requirements are the most demanding. Not only is this diffuser attractive and stylish, its superior aerodynamic design ensures that the air distribution creates no drafts, is quiet and highly energy efficient. 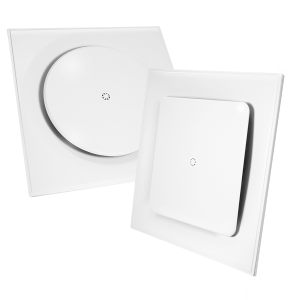 The Rickard electronic wall/bulkhead VAV diffusers are normally used in sidewalls or bulkheads where restricted ceiling voids exist or covered ceilings are not available. They excel at distributing air across long offices but, when only a short distance is required, the angle of the double deflection blades are simply changed to reduce the throw. Rickard VAV diffusers have a number of unique attributes that ensure they provide optimum performance over a long period of time. The diffusers feature a modern “flush” to ceiling/wall stylish look and aerodynamically shaped components that minimise noise while improving air flow characteristics. Rickard diffusers do not require routine maintenance, but in-case a repair is required, all mechanical components are easily accessible from inside the room. Rickard VAV diffusers help to provide a well ventilated indoor environment that maintains a consistent and comfortable temperature in most types of applications. They eliminate the negative impact undesirable thermal conditions can have on output, accuracy and productivity achieved by allowing only the required amount of conditioned air to enter the space. The set-point on individual diffusers can be easily adjusted by the occupant, giving them personalised comfort control of their environment. 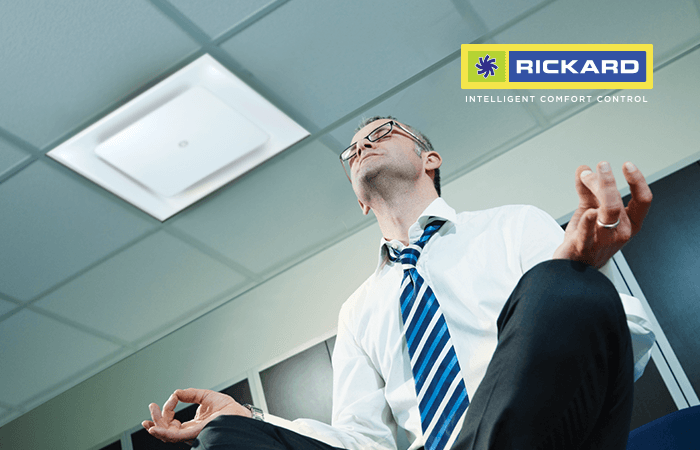 Rickard VAV diffusers are incredibly easy to install and set up, and will function effectively when the building’s air conditioning systems are in either cooling or heating mode. All Rickard ceiling diffusers are either installed in suspended tiled ceilings with “T” frames or standard plaster board using a standard ceiling frame. 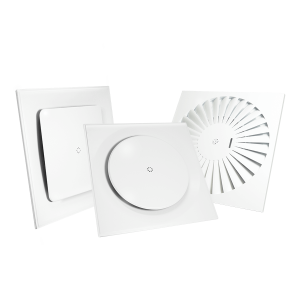 Whether you require retrofitting an existing building or building new, you can be sure installing Rickard VAV diffusers will be a complete breeze (pun intended). A key benefit of Rickard VAV diffusers is their ability to potentially reduce the energy consumption of a building by reducing the demand on the air handling system. 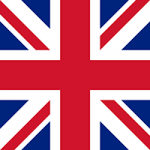 They achieve this by allowing only the required volume of hot or cold air to enter the conditioned space according to the set point. 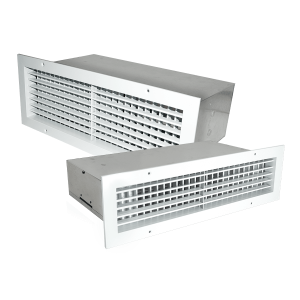 If the required air volume reduces, the diffuser’s aperture size also reduces which creates additional pressure in the ductwork and signals the air conditioning system to slow down which in turn saves fan energy. Rickard diffusers are one of the primary technologies we use as part of the Airlink system. Find out how an Airlink system can provide a more sustainable solution for your building.